The Outer Banks Community Foundation is thrilled to announce its newest scholarship endowment: the Ocracoke Island Realty and Village Realty Scholarship Fund. Starting this year, this fund will award annual scholarships to college-bound and current college students based on academic performance. Preference may be given to dependents of employees of Village Realty and/or Ocracoke Island Realty. Graduating high school seniors, current college students, home-school students, and GED students from Hyde, Dare, Currituck, Tyrell, Washington, Camden, and Pasquotank counties are all eligible to apply. 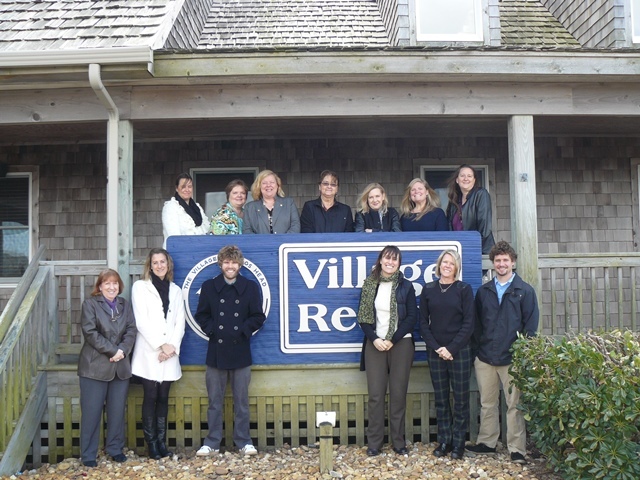 This year 63 students applied for the Ocracoke Island Realty and Village Realty Scholarship. Winners will be announced at the students’ senior awards ceremonies. Employees of Ocracoke Island Realty and Village Realty are pictured here with Community Foundation executive director Lorelei Costa.